1 in 3 people in the UK is suffering from winter depression and many of them don’t know that their diet can help to alleviate the symptoms. What foods can influence how we feel physically and psychologically? Our mood is affected by the bleak weather and the lack of the sunlight. Of course, many of us feel a little more sluggish during winter but for some people find this season very hard and suffer from a more serious type of depression. 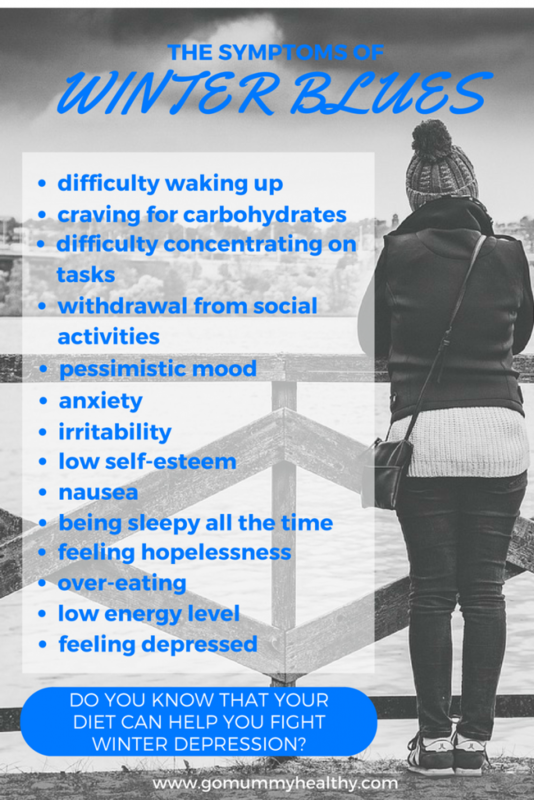 Officially it is called seasonal affective disorder (SAD) and the main symptoms are being sleepy all the time, lower energy level, craving for carbohydrates, difficulty concentrating on tasks, withdrawal from social activities, anxiety, low self-esteem, feeling depressed. 57% of adults say their overall mood is worse in the winter season compared to the summer season. And this is a huge part of the population. What can be done to beat winter depression? What can help ease the winter blues? Besides light therapy and cognitive behavioural therapy regular exercise and making little changes in your diet can help to beat the winter depression. A balanced diet that includes whole grains, fruit and vegetables, dairy products, meat and fish and low in fatty foods, caffeine, nicotine and alcohol may alleviate the symptoms and contributes to maintaining the healthy state of mind and better performance at winter too. 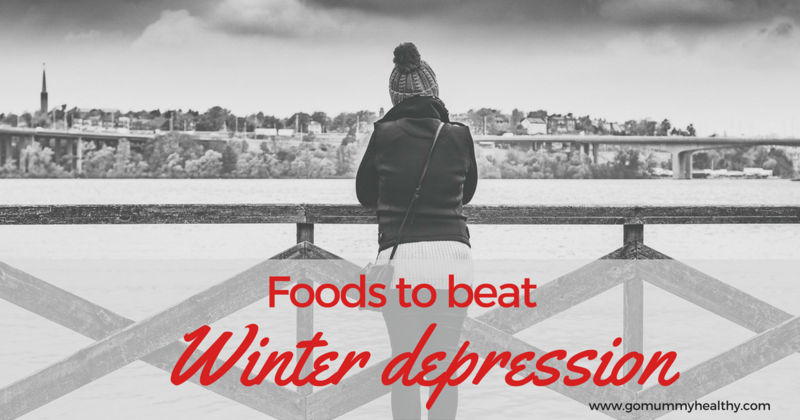 What are the best foods to beat the winter depression? Oily fish – just like flaxseeds, walnut and chia seeds – provide omega-3 fatty acids too. Omega-3 fatty acids have a key role in brain functioning and they help maintain healthy levels of the brain chemicals dopamine and serotonin. Dopamine is a chemical responsible for feeling good, while the low level of serotonin is linked to depression and suicidal tendencies. Studies suggest that people who eat high amounts of omega-3 fatty acids are less likely to suffer from depression and researchers found that omega-3 supplements are effective in treating depression. As our body is not able to produce omega-3 fatty acids we have to get it from our diet. 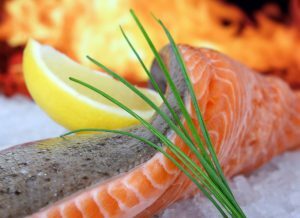 Salmon, tuna, mackerel and herring also a good source of vitamin B12, which is linked to reducing the symptoms of winter depression. They also provide lean protein that gives you energy without feeling sluggish. Turkey and chicken are also a good source of lean protein. 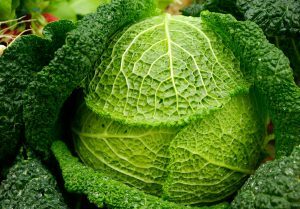 Green leafy vegetables are also a major source of iron and they also provide vitamin C. Everyone knows that vitamin C is a powerful immune system booster but it also can lower anxiety and increase energy level. Iron is an essential nutrient that helps transport oxygen throughout the body and vital for energy production. Dark chocolate contains beneficial minerals and vitamins – like potassium, copper, phosphorus, magnesium, manganese and iron, vitamin B2, B3 and B12. From these magnesium, iron and vitamin B12 have an important role in beating winter depression. Magnesium improves sleep and reduces depression and stress. Iron is vital for energy production; as a component of haemoglobin, iron transports oxygen to the cells. Vitamin B12 play a role in producing brain chemicals and effects our mood. Low level of vitamin B12 is linked to depression. 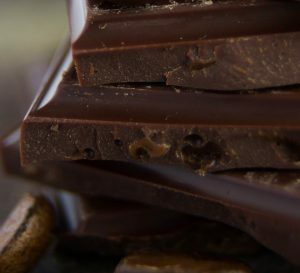 Also, studies like this one proved that cocoa polyphenols in dark chocolate can affect our mood positively. So, good quality chocolate (70%) must have a place in our diet. Besides that the natural sugar and carbohydrates in banana provide fuel to the brain, bananas contain amino acid tryptophan a calming and relaxing chemical. It helps to regulate sleep patterns, the stress response, appetite and mood. 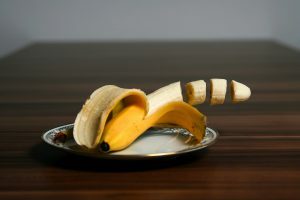 Bananas also provide magnesium what makes us sleep better and reduce anxiety and alleviate stress and depression. So a good banana smoothie before bedtime is a good idea to have a good night sleep and to beat winter depression. 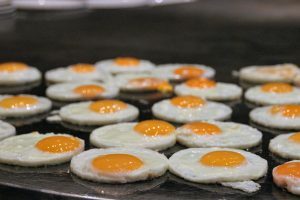 Egg yolks are some of the richest sources of vitamin D. Vitamin D is also called ‘sunshine vitamin’ as our body can produce it using natural sunshine. But we just do not get enough sunshine in winter, so a diet rich in vitamin D food is essential – and even supplementation is recommended both for adults and children. Eggs are just amazing. Besides being a good source of vitamin A, D, E and K they provide vitamin B12 which has an effect on our mood, and lack of vitamin B12 is linked to depression. They are also rich in minerals like iron, zinc and copper. 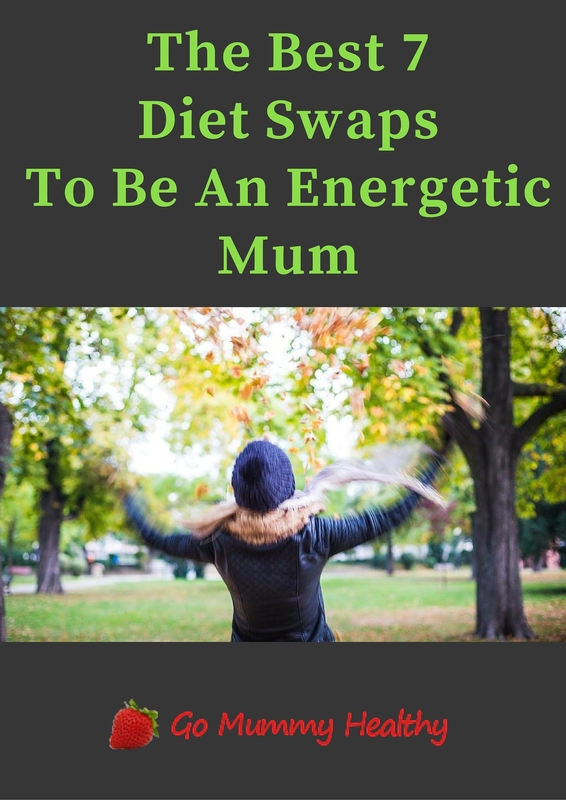 As I already mentioned above iron – as a component of haemoglobin – helps to transport oxygen to the cells and so it is an essential mineral in energy production.